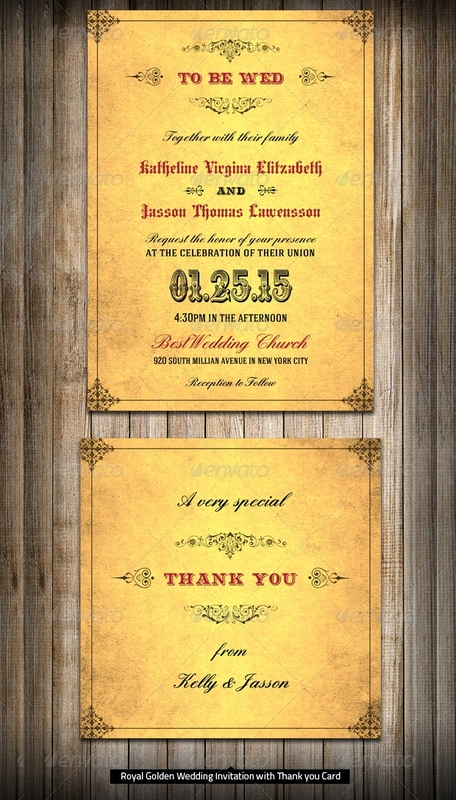 This is a vintage style wedding invite card which has a simple design with an effective theme. 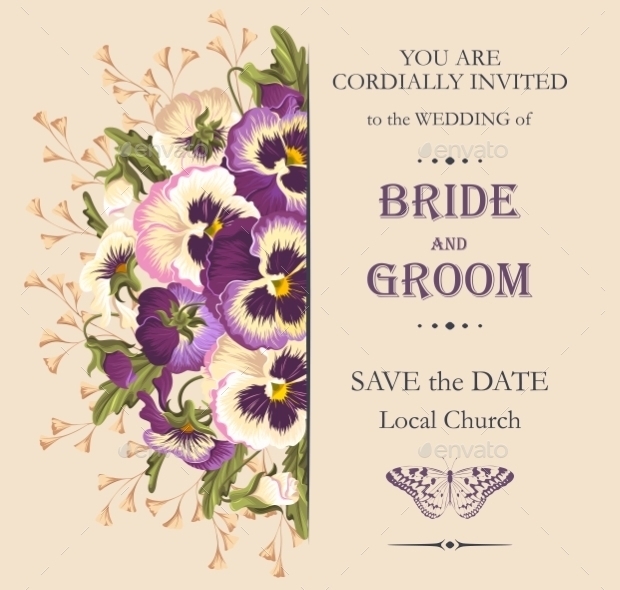 The card features lavender flower theme on one side and on the other side is some space for the names of bride and groom along with formal invitation words. 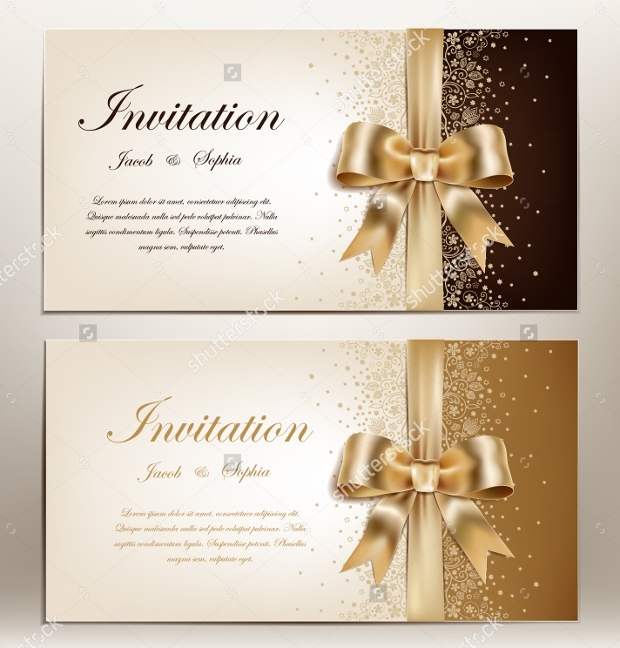 This very pretty wedding invitation card which features a gold ribbon and bow has a classy color theme which is in gold and brown. 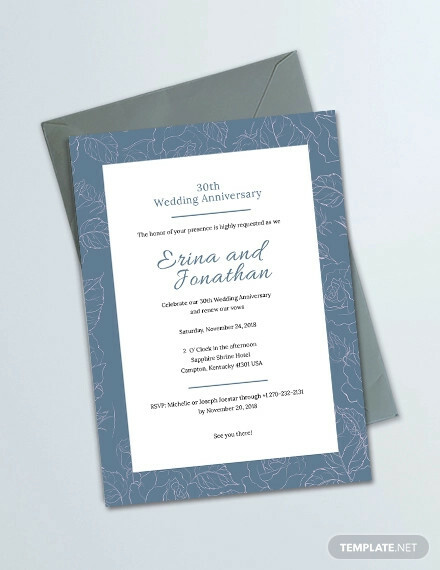 It has a printed floral pattern and on the right side is the blank space for the names of bride and groom alongside a few warm words for inviting. 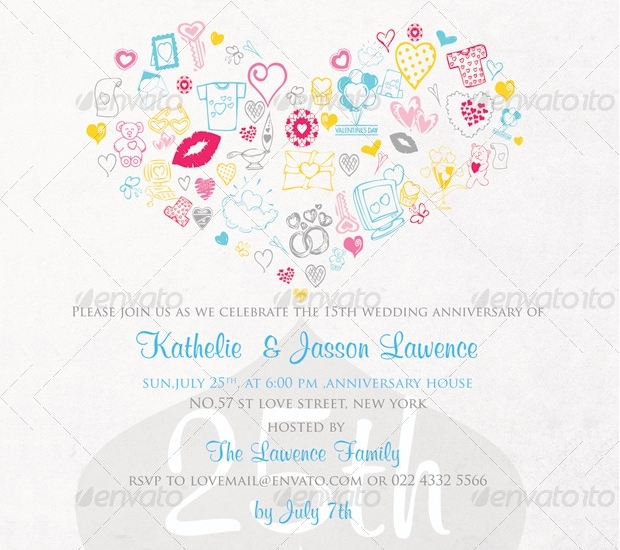 This is a very colorful and funky birthday party invitation design which can also be used for anniversary invitations. 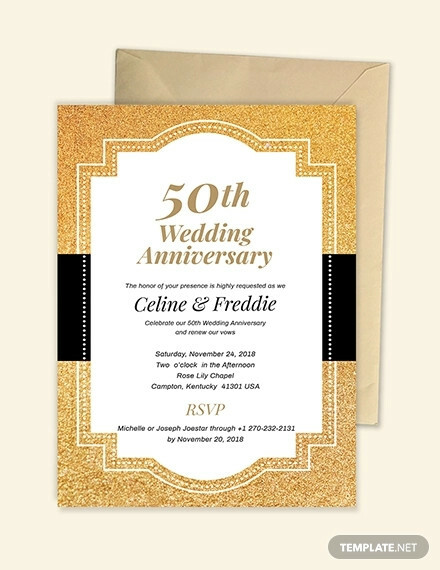 It features bright and vibrant colors like red and yellow and has a curtain opening design and in the center, the names have been written along with the date and venue. 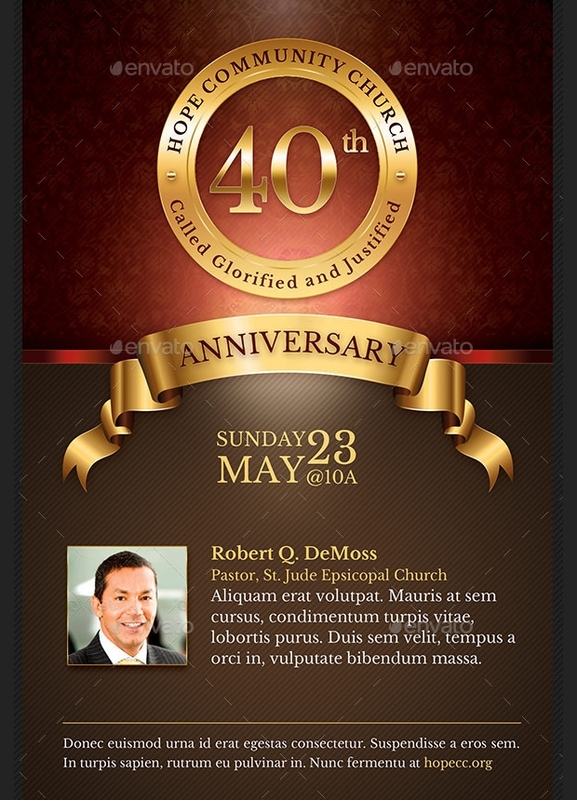 This is a church anniversary invitation design which is why it has been kept to simple and elegant. 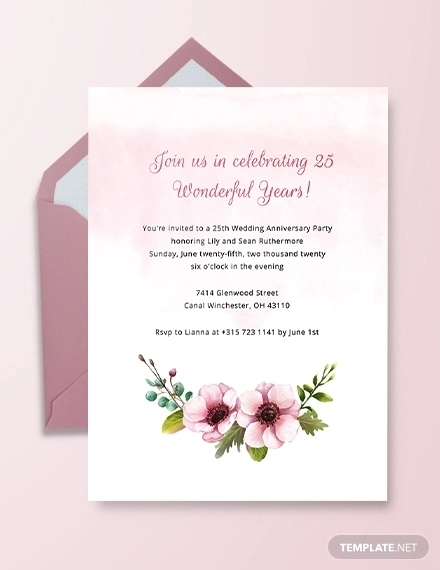 It is a formal invitation design which is more of a flyer and poster kind. It makes use of special effects from Photoshop to create a unique design that stands out. 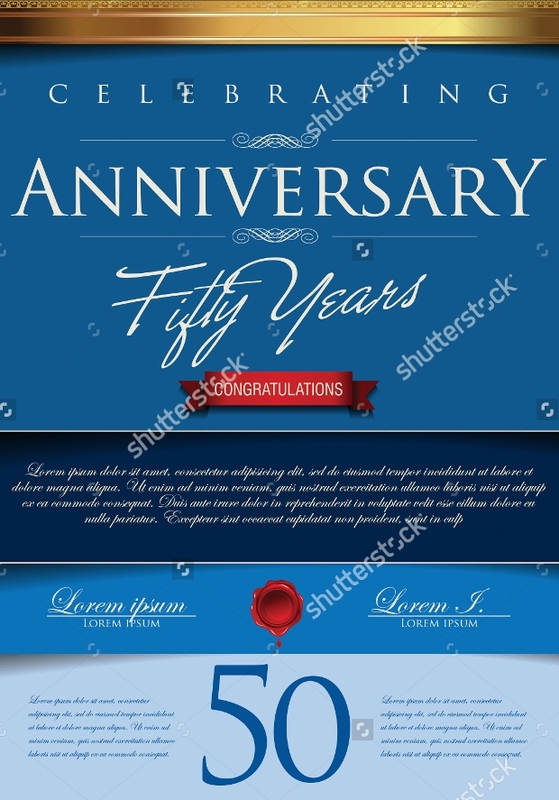 This is a high-resolution anniversary invitation card which is available in various sizes as per the requirement. It has a formal and minimalist design and features colors like blue with white fonts along with colors like red and gold. 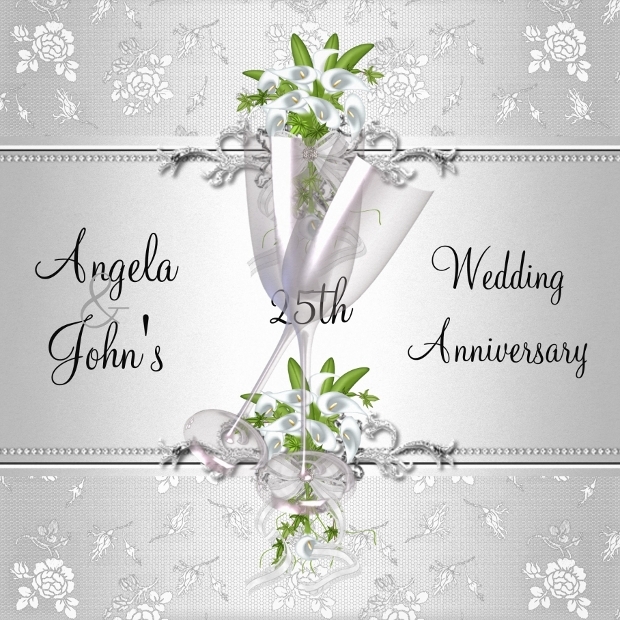 This is a beach wedding anniversary flyer which has a high resolution and attractive graphics. 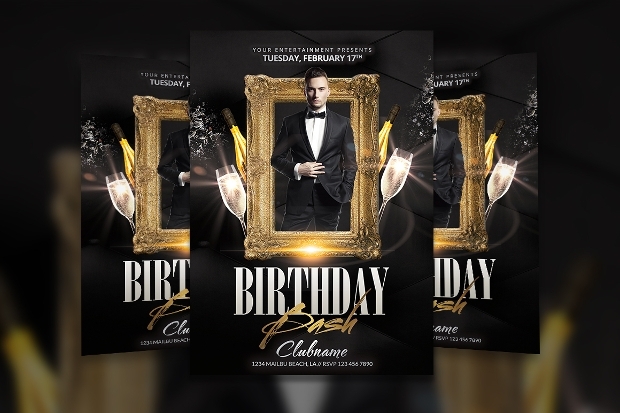 The flyer can be used for several other occasions as well. It features bright and bold colors. 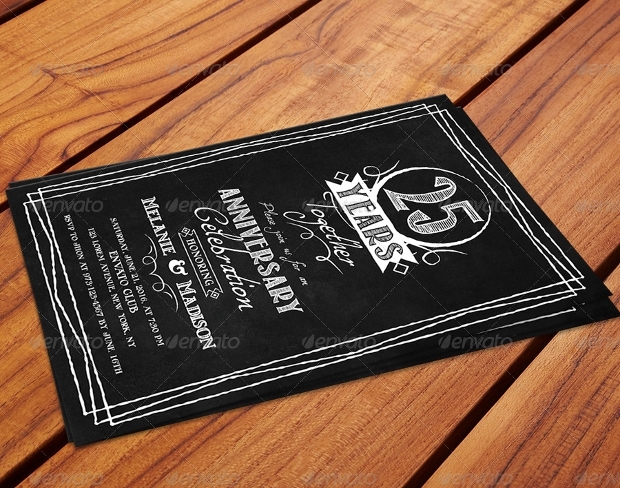 This is another formal restaurant anniversary invitation which is a template having an elegant and sophisticated theme. It features a restaurant theme that depicts the event is to be conducted in the venue. 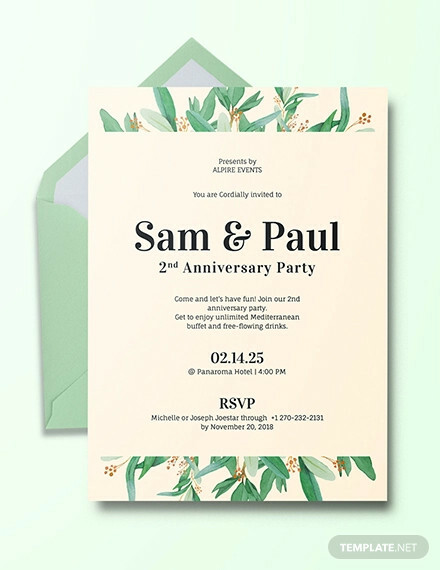 A company’s anniversary party invite has to be official and formal. 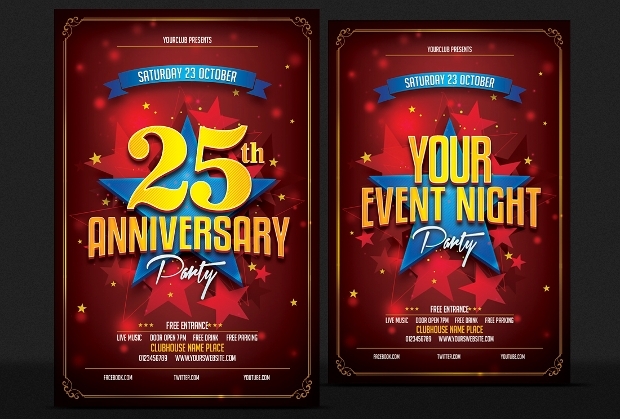 This is a great design which can be used for company anniversary parties. 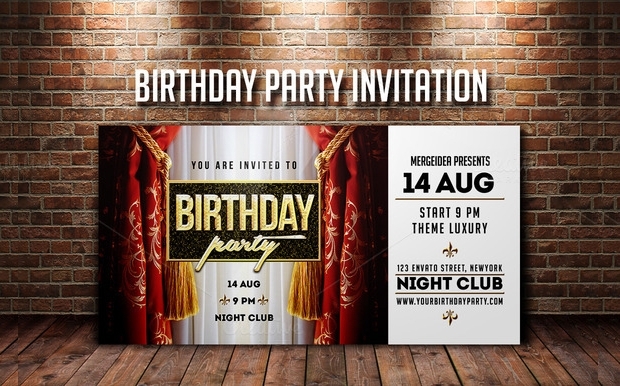 It is a high-resolution card and the design is perfect for formal invitations. 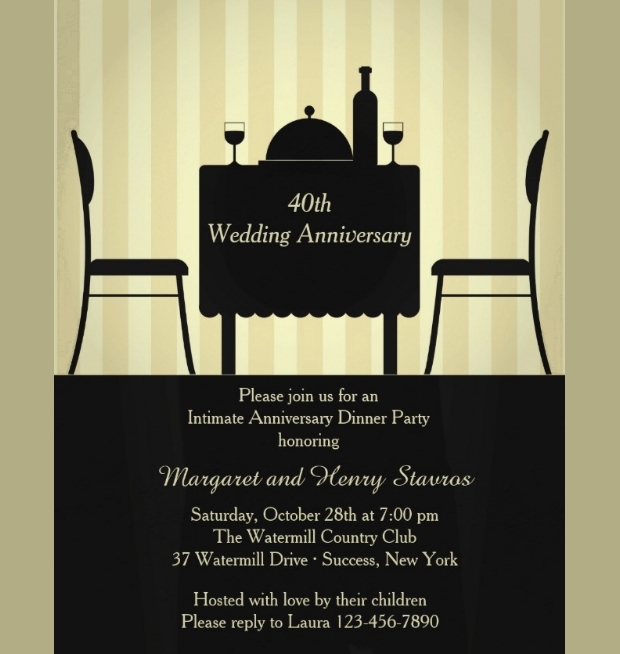 This is an elegant design for anniversary invitation which can be printed thereof. It is simple, elegant and budget friendly. One doesn’t necessarily spend a million bucks for an invite. This simple and printable anniversary is the answer to those looking to fit within the budget. 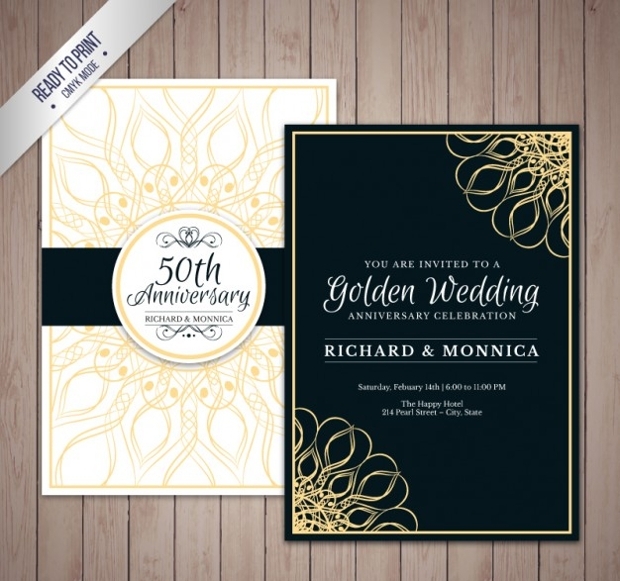 This golden wedding card is elegant and royal looking. It features stylish font in red and black along with a baroque design in the corners. 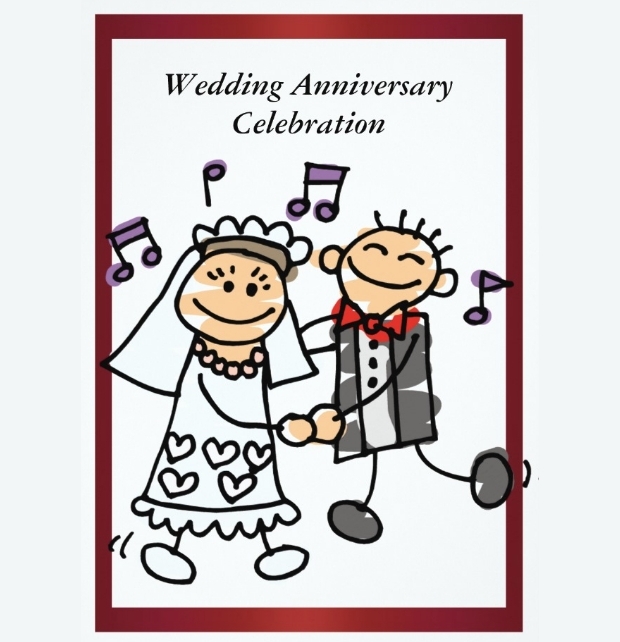 The card is a portrait shape and is perfect for weddings and anniversaries. 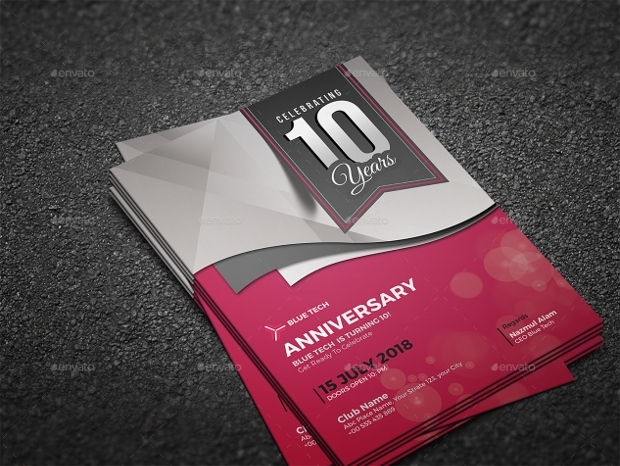 Choosing the right anniversary invitation card can be a little challenging. We have narrowed down your choice to select from, depending on the occasion. 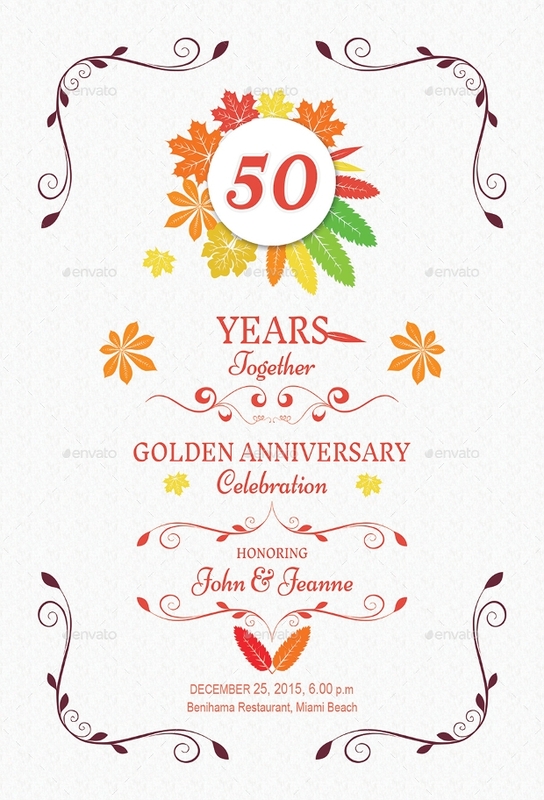 The above anniversary invitation card ideas are exclusively screened and selected for you! Ensure that you choose the right one and take inspiration from the above ideas. You could also download them right away in your desired file format.